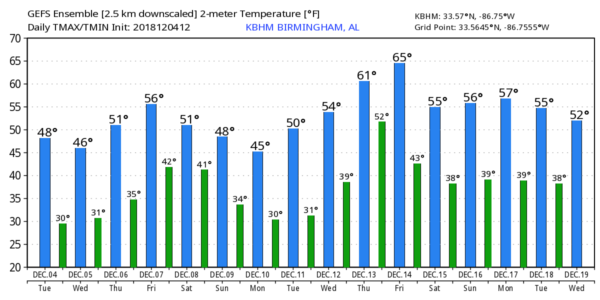 COLD NIGHT AHEAD: The sky is sunny across Alabama this afternoon with temperatures in the 40s and 50s. With a clear sky tonight, temperatures will drop into the 20s over north and central Alabama by early morning, with potential for freezing conditions deep into south Alabama. Our weather will stay dry through Friday with lots of sunshine Wednesday and Thursday, followed by increasing clouds on Friday. The high will be in the 45- to 50-degree range on Wednesday, followed by low 50s Thursday and Friday. COLD, WET WEEKEND: A surface low will move eastward near the Gulf Coast over the weekend, and a soaking, cold, widespread rain will move into Alabama early Saturday morning. Rain will fall most of the day Saturday, with temperatures in the 40s over the northern part of the state and 50s for south Alabama. With a cold, stable air mass, we have no worries with severe thunderstorms this time. Sunday will be cloudy and cold with periods of light rain on the back side of the departing system. 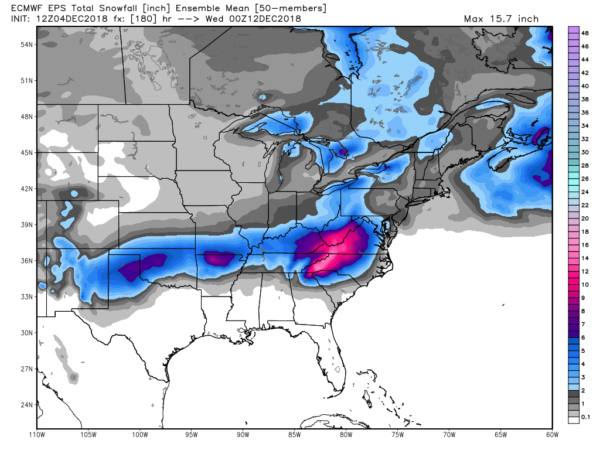 TO THE NORTH: Snow and ice is possible over parts of northern Arkansas, far northern Tennessee and Kentucky over the weekend on the northern periphery of the system, so be aware of that if you are traveling to the north. NEXT WEEK: A clipper-type system could bring a touch of light rain or maybe even a few snow flurries to north Alabama Monday morning, but for now it looks like a no-impact system with limited moisture. We will be dry Tuesday through Thursday, followed by a chance of rain and thunderstorms at the end of the week.